They get it what Malaysian like to eat. Penang curry flavor instant noodle grows like a mushroom in a rain. 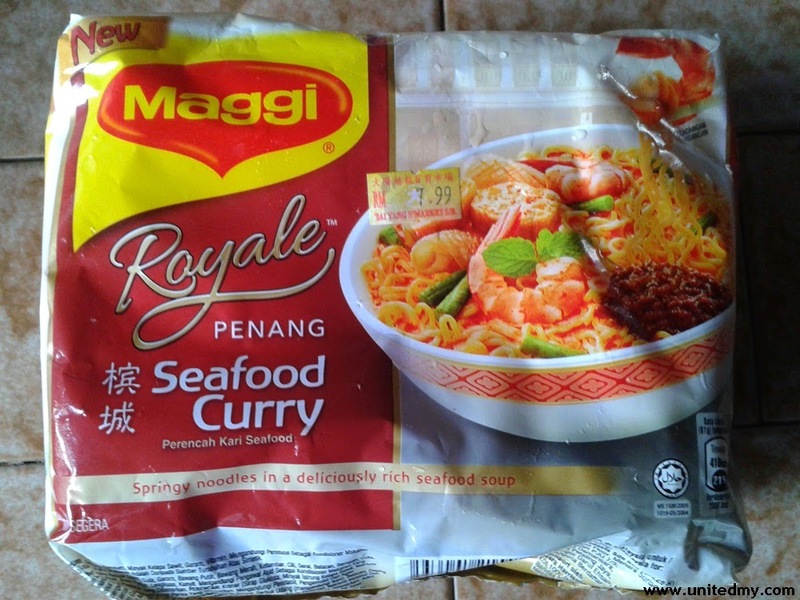 Maggi, one of the oldest, top and most recognized instant noodle brand in Malaysia introduced not-so-surprised "Penang Seafood Curry flavor"
Everything has a beginning they could have get the inspiration from Mykuali Penang White Curry noodle. It was not saying they copy it from them but Mykuali in my opnion could be one of the pioneer in this flavor. Reminiscing the desire to taste what it like Penang curry flavor because not everyone has traveled to Penang and eat it iconic food. 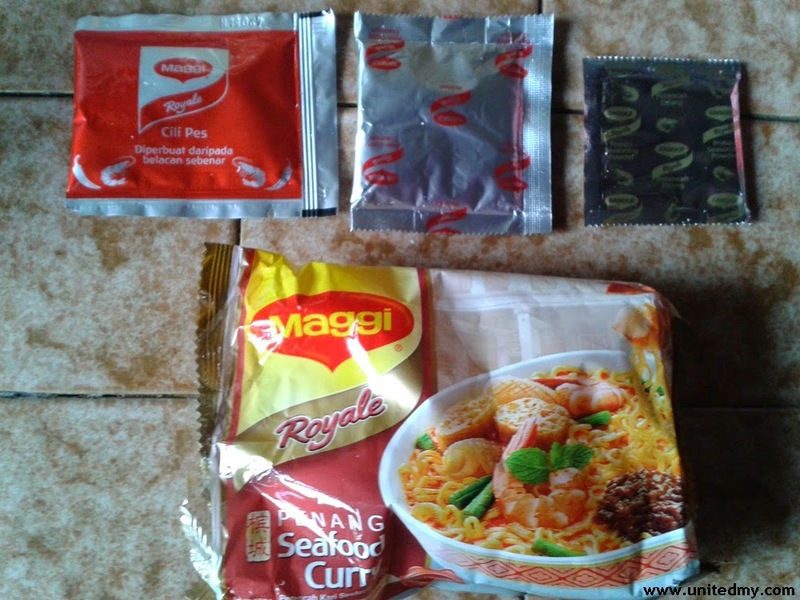 Besides, unlike the common packaging by Maggi which is always 5 x 75g, they adopted the same packaging as Mykuali to use only 4 x91g instead. You would notice it slightly larger in size but the quantity has been reduced to 4 packets only. I do not know you guys appetite but I had cooked two packets in order to satisfy my hungry. In this case, I would think twice to have two packets because they has increased 20 grams than normal 75g per packet. Generally, I would say Maggi does have greater taste. Previously, they rolled out the Maggi goreng flavor, one of the best could outperform any other Maggi goreng in Malaysia. Now, they took initiative to get people buying their new flavor which is Penang Seafood curry flavor I guess to compete and retains some market share in instant noodle business. It worth to mention that they seem to have upgraded its instant noodle quality. It called "Maggi Royale" What a blessing day indeed !! You will regret if you did not try this. As for the price for one big packet contains 4, it sells over RM7 definitely. I bought it at RM 7.99. It has been launched several months ago now it reached to East Malaysia where I have enjoyed it myself.